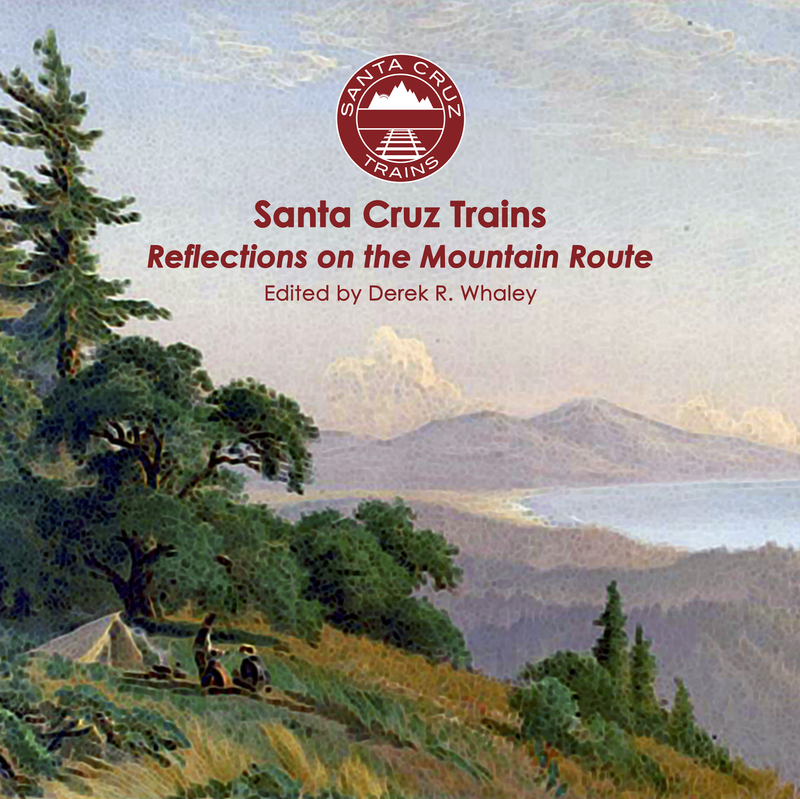 For being one of the most important railroad stops along the Zayante Creek section of the Southern Pacific Railroad's route through the Santa Cruz Mountains, Meehan is virtually unknown even within railroad circles. Much of this may relate to confusion caused by the placement of the non-station Gibbs at the same location in USGS maps and by historians such as Donald Clark and Rick Hamman, and the fact that the name "Meehan" appears to be taken from Patrick Meehan, a Southern Pacific track foreman but otherwise inconsequential individual in relation to the area. One thing is certain, though: Meehan was the primary passenger station for people living in the Zayante and Lompico residential areas. The origins of Meehan are fairly well-known. 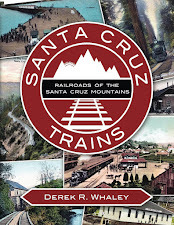 Established by the South Pacific Coast Railroad around 1879 as Dougherty's Mill (later just Dougherty), the location was where the privately-owned spur of the Santa Clara Valley Mill & Lumber Company (Doughertys) broke off from the mainline track and descended down to creek level. Although the mill closed in late 1887, the spur remained in place until the standard-gauging of the line in 1908. Soon after the Southern Pacific leased the route in 1887, they renamed the stop Zayante, possible to avoid confusion with the privately-owned Dougherty Extension Railroad begun in 1888 north of Boulder Creek. Curiously, in 1891, a new stop appeared 0.4 miles south of Zayante under the name Doughertys Spur, suggesting that the actual split in the line did not occur at Zayante but rather further to the south. In 1892, Zayante became Meehan and White Flag Spur, the next stop to the north, became known as Zayante. Why these names were shuffled around in this way remains a mystery. The station would retain the name Meehan until the formal abandonment of the route in November 1940. Unlike many other stops and stations in the area, Meehan was always included on railroad timetables and in station books as a full station, not a flag-stop. Its modern remote location actually betrays its true importance to the communities and industries of the Zayante Creek basin. At the top of the spur to the Dougherty mill, it served as an important freight transfer point from 1879 to 1887 between the mill and Santa Clara, where the company kept its main lumber yard. Throughout its existence, a siding was maintained at grade level, measuring 441 feet in narrow-gauge times and 775 (10 car-lengths) feet after the conversion to standard-gauge. In later years, the communities of Lompico (founded in 1925), Zayante Lakes (1925), and Zayante Park (1931), all developed below or near Meehan. And this was intentional. Easy railroad access could help seasonal homes and cottages more effectively. 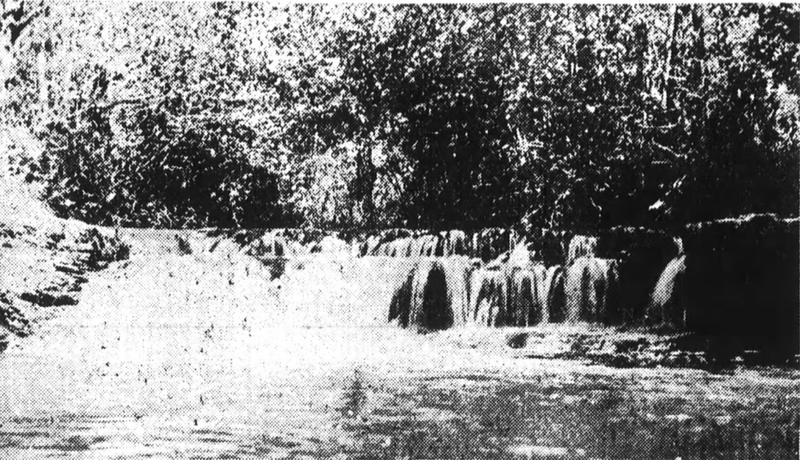 Also, the logging activity of the Doughertys, the Union Mill, and other companies meant that the tree cover in the area was significantly more reduced. 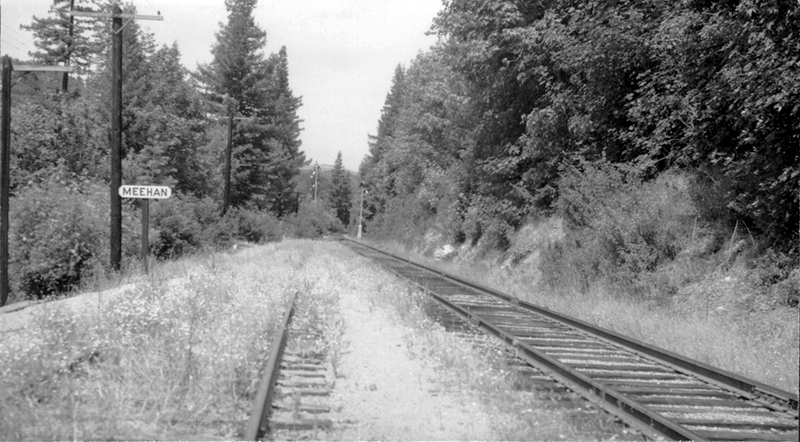 Remnants of the railroad's impact on the Zayante area still survive and are a testament to the relative importance it held over Zayante-area residential subdivisions. Within the periphery of Meehan are East Hill Road, Western States Drive (originally Woodland Road), East Creek Road, and Laurel Way. All of these roads either cross, terminate at, or are within walking distance of the railroad right-of-way and all end at residential subdivisions founded in the first decades of the twentieth century. 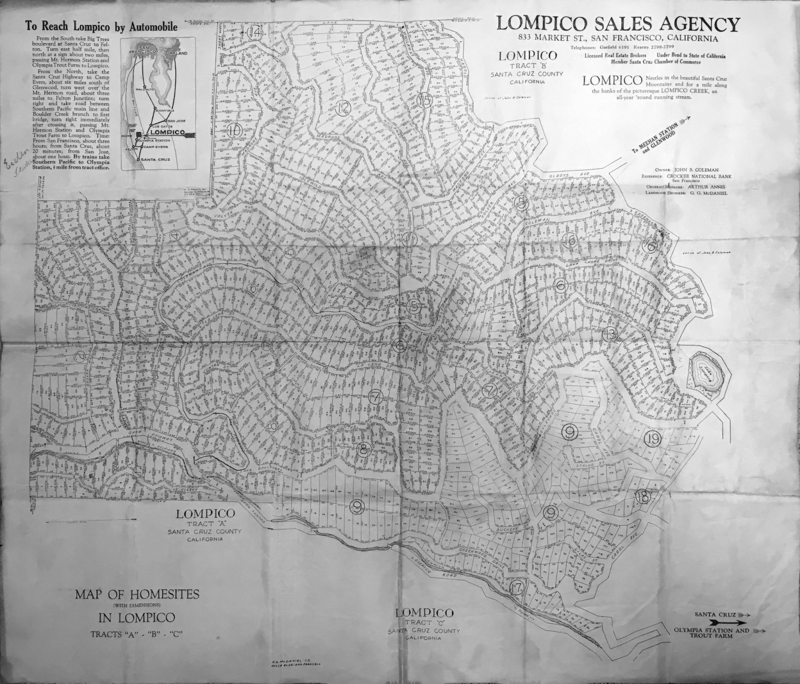 Meanwhile, Lompico, even today severely isolated with the exception of a single road, originally was to have a second road that branched off Gladys Avenue that would terminate at Meehan. Even today, if you search on Google Maps for "Zayante, CA," the results will place you at a location along East Zayante Road directly below Meehan. It is unknown how much damage the Meehan area received in the February 26, 1940, storm that permanently disabled the line, leading to its abandonment later that year. The known photograph of it in the late 1930s, however, shows that the siding was overgrown, unused, and sinking slightly. The Great Depression slowed development in the Zayante area so probably left an impact on Meehan as well. There is no evidence of a station shelter at the site, but many such shelters had been removed in previous years and, considering its importance to the communities and its longevity, Meehan likely had a station for at least some of the period. The site of Meehan station is privately owned and trespassing is discouraged. Remnants of the railroad can be found there, including a 1913 culvert and a dilapidated railroad-tie retaining wall below the former siding location. It is unclear whether any of the damage to this wall occurred in 1940 or afterwards, although there is no evidence that the right-of-way north of Meehan was ever used as a public access road as was the route to the Zayante Tunnel (Atomic Vault) to the south. No other features set it apart from the rest of the Zayante Creek-area right-of-way. We own this parcel from the old railroad right of way, and have recently been exploring the SPC history, looking for tunnel portals, etc. I had wondered why a portion of the right of way was 200' wide rather than the standard 100'. Fascinating. Let me know if you want to go exploring out there with us to look for evidence of Meehan. We do have a 1913 culvert and some other evidence of the train infrastructure on our property. The parcel was listed in county records as having some kind of archeological significance. I didn't know if that referred to the right of way itself, the culvert or even something else...do you know if the county records might have more detail somewhere? Greetings Ms. DeWitt, it is very interesting to know that you live on or near that 200' segment of right-of-way. To the best of my knowledge, the entire segment is owned by the Santa Cruz Co. Water District. How is it that you own it? I don't doubt your honesty, I've just walked the fire road along that entire route and never had to bushwack through a yard. Do you just leave the route open there? I love seeing the old culverts as I walk the route. Last time I walked it, I found two or three and brushed away the mud and dirt to check the dates. Most along the route date between 1910 and 1914. Archaeologically speaking, I can't think why that segment specifically would have significance except that there may be foundations for the Meehan Stationhouse around there. I have never seen the station in photographs so I have no idea where it was specifically or how big or small it was. Olympia's station was a tiny little bus stop-sized structure. Country records should have something if the site has been noted as being archaeologically significant, but I don't know how to follow up on that. Hi Derek -- we bought two parcels there in 2009, one of which is the old right of way starting at Western Stated and the other is alongside it on the creek side. If you hike there you have no doubt seen our water tans and storage shed to the left of the RR grade just past Western States. We just took a walk out there and tried to visualize where a stationhouse might have been and it's hard to say. There isn't much area left wide enough. I wonder if we used a metal detector if we might find some things that could be a clue. We did see a number of posts along the RR bed on the creek side. Do you know if those were built anywhere as a type of guard rail, or might it be associated with the location of a station house or siding? Have you developed anything directly on the old right-of-way? I seem to remember a short strip of property north of the Eccles tunnel that was not a fire road. There was a big wash-out along the route in one of those spots. Regarding the stationhouse, it was probably very small but I known nothing about it except one existed there. Cement blocks probably served as the foundation. A metal detector could maybe find something, but most of the route was built with cement and wood except the tracks and spikes. The posts along the side of the creek in that area was, if I remember correctly, telegraph lines and later telephone lines. They are all over the place along that route. More complex board arrangements were usually intended to hold up the hillsides since the entire stretch was prone to slides. There are a few spots between Eccles and Clems tunnels that you can see the hillside supports in (perhaps too) vivid detail. No, our part of the railroad right of way just looks like a fire road. We can't develop it because another property owner has easement rights on it. Hi Derek - I found a photo of Meehan in Stephen M. Hayes' book "Southern Pacific Depots in California, Vol. 1. It's an undated photo of track and the Meehan sign. It shows no structure and shows a siding that had clearly fallen into disuse by the time the photo was taken. I have exchanged a few emails with Mr. Hayes, so I'll ask him if you can post the image. Thank you, thank you, thank you! That's awesome! I truly hope you can get permission for me to post it. If not, please feel free to take a photo for me for my private collection of photographs. I'd love to see this even if I can't release it. But publishing the photo is my hope. Thank you and best of luck. He gave permission and I sent the images to you Facebook email, but I don't know if you ever received them. If you let me know your direct email address I can send them to you. I never received them. My email address is whaleyland (at) gmail.com. I look forward to checking out these images. Wow that land must be beautiful. I’ve always loved it up there. I grew up in the east foothills of San Jose, near alum rock park. It’s nice there but I prefer the Santa Cruz mountains. If you check the history of Santa Cruz mountain side then you would know about the Santa Cruz County Property Maps and how things build from the very long time and how it has been going on right now.